To become an agent or not to become an agent… that is the question. 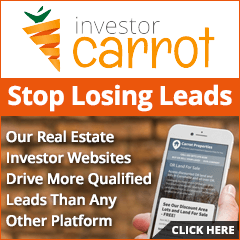 No seriously, should you get your real estate license as a real estate investor? Plenty of people have strong opinions about this common question. So how do you figure out what’s best for you? The question you need to answer is whether you can benefit your investing business financially with a real estate license. Now, some people will tell you the real issue is that most deals investors do are illegal without a license. In fact, the Ohio Real Estate Commission said as much in one of its newsletters. But that doesn’t mean investors automatically need a license. Usually, these kinds of comments are made by people in traditional real estate deals, including real estate agents. They find investing deals puzzling… because they’re not traditional deals. But there’s nothing wrong with getting creative to set up a deal that works for everyone. Wholesaling, for example, is NOT illegal when done the right way. Come to your own conclusions about your investing options. Read the laws in your state. Talk to a real estate attorney (or several of them) to get their take. And set up a business model that you’re comfortable with. SO, back to the real issue: money. Just how can getting licensed make you money? There’s no relying on someone else to tell you about new deals. That instant access might very well bring in a deal you wouldn’t otherwise have spotted in time. You can easily search for properties. Plus, you’ve got access to all kinds of data about a property. Suddenly, finding comps is a breeze, and you don’t have to sweat over pulling tax records and other property records. Plus, if you’re using a fix & flip model, you can list your properties for free on the MLS. Since most property sales are done through the MLS, this is free marketing. What’s not to love, really? A real estate license gets you invites to events you might not even know about as an investor. The more people you know, the easier it will be to get your investing deals done. Plus, these are the kinds of events with people who know real estate. Be on the lookout for like-minded people and you’ll have new opportunities to get deals done. As a licensed agent, you can set up a friends and family plan. Got a brother who wants to upgrade to a house with more square footage? No problem. You can help him with that transaction… plus make a little bit of pocket money with the commission on the deal. Plus, commissions can bring in some extra spending money, which is never a bad thing. You can also look at commission money as an opportunity to fund your investing deals. Got a fix-&-flip deal coming up? Save that commission money to cover part of the repairs and cut down on your loan amount. As a licensed agent who’s also an investor, you get to keep the commission you would have otherwise paid to a different agent. How great is that?! If you’re investing in a $100,000 property and the agent is making 3%, you just saved yourself $3,000! Plus, a selling agent’s commissions tend to be higher (around 6%). And that’s on the property after you’ve added any wholesale fees or finished your fix & flip. So that property you bought for $100,000 might now be $180,000 after some renovations. That’s a commission of almost $11,000 you’ll be saving! And between the two closings, your savings total $14,000. Cha-ching. That $200 for a license is looking pretty good, am I right?! Obviously, that does mean you’re doing more work on the deal in acting as the agent, but you can always outsource some of that work to virtual assistants. But if you make a referral as a licensed agent, the person you referred can pay you part of the commission. Easy money. With your license, you enter the world of negotiations. You will be able to write offers and work directly with listing agents to finalize a deal. You’ll also be able to work directly with lenders, appraisers, home inspectors and attorneys. But these are details you would be keeping track of anyway. You save the time of having to discuss an issue with your closing agent and wait for a response. You will need to spend about 100 hours to get licensed, plus any continuing education hours (this is usually something like 12 hours a year). Now, you might not learn practical skills on how to fix & flip a house. But there’s always plenty to learn. You might be surprised what tips you pick up and how they benefit your business. This is especially true if you’re just starting out. You’ll learn the fundamentals of real estate through the process of getting your license. People like to see a license. Remember those complaints from agents I mentioned earlier? If you’re licensed, you’re on level playing ground with those agents and they’ve got nothing to complain about. Plus, the other people you work with who are outside of the real estate business will see your license as a sign that you’re an investor they can trust. As a licensed agent, you can also be a property manager or leasing agent for commercial and residential properties. If that fits your business model, it’s an opportunity for an additional income stream. Another cha-ching. Okay, that’s a long list of benefits. But aren’t there some downsides to getting a license? As a licensed agent, you always need to disclose that you’re licensed. Plus, you’re expected to uphold a code of ethics. That means you’re opening yourself up to potential complaints. You want to do all your deals with integrity, so this is just a way to be held accountable to what is probably already your standard of doing business. The licensing process will give you plenty of info on the paperwork to get a deal done. You’ll learn about the legal and financial aspects of real estate deals. But, it will give you foundational information on the business. And even going through the process of getting licensed will probably get you some new contacts… in this case, it’s not so much about what’s being covered in the study material as it is about building your knowledge foundation and bringing long-term benefit to your company. If you’re thinking you’re done with school and studying and all that book business, you’ve got a problem. All investors need to be learners. First, if you decide not to get licensed, you still need to take time to understand what that means. Read (yes, read) any legislation about real estate transactions. Make sure you’re not just talking to other people about what they think—read the rules for yourself. And if you want your business to grow, you should value learning. That doesn’t happen only through reading, but so many exceptional investors have written down (or recorded) their thoughts, just so you can learn from them. If you’re not a reader, that’s what audiobooks, videos and webinars are for. But seriously, don’t make this decision based on how much you hate studying. Yes, getting your license takes time. Filling out that extra paperwork takes time. And as an investor, you should always be trying to do what makes you money. Will making the investment of getting licensed make you money? Take a look at your business model. How will getting your license increase the number of deals you can do (including new kinds of non-investment deals you might consider doing)? Does that offset the costs? There’s no one right answer to this question. If you’re still not sure whether you want to get your license, look up the licensing process or talk to a licensed agent-investor in your area. How much time is involved? What’s the cost? Remember, this is going to vary from state to state. Are you licensed? What helped you make that decision? Tell me about it below.